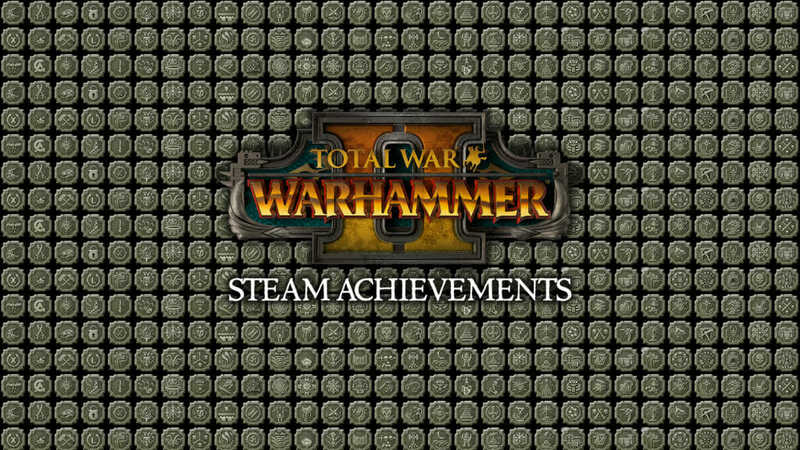 Playing as a Vampire Coast faction, win a single player campaign. 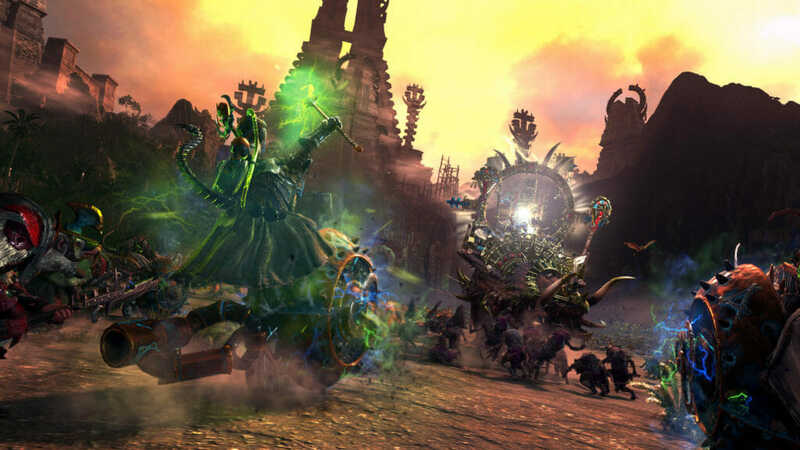 Playing as a Vampire Coast faction, win a single player campaign on Very Hard or Legendary difficulty. 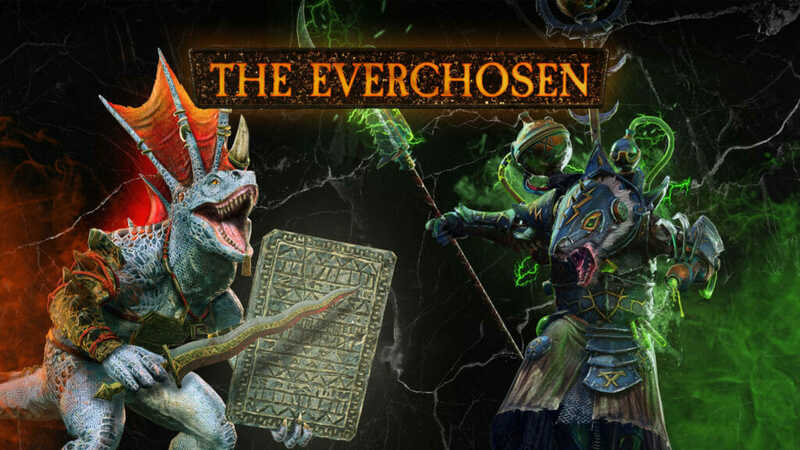 Playing as a Vampire Coast faction, collect a Piece of Eight. Playing as a Vampire Coast faction, defeat seven infamous pirates. Playing as a Vampire Coast faction, solve a treasure map. Playing as a Vampire Coast faction, establish a Pirate Cove. Playing as a Vampire Coast faction, recruit Queen Bess. Playing as a Vampire Coast faction, gain infamy. Playing as the Drowned, construct the Cylostra’s Opera House in Lothern. 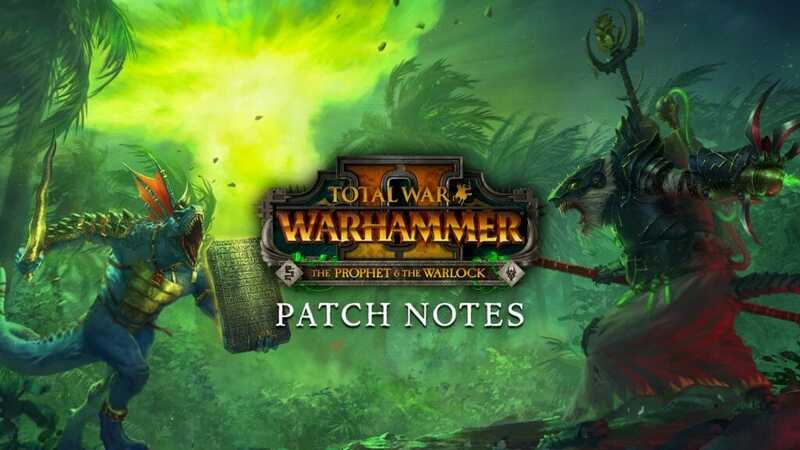 Playing as the Vampire Coast, restore Luthor Harkon’s mind by opening the Ancient Vault. Playing as the Pirates of Sartosa, recruit 10 units of Sartosa Free Company. Playing as the Dreadfleet, scavenge the wreck of the Heldenhammer in the Galleon’s Graveyard. 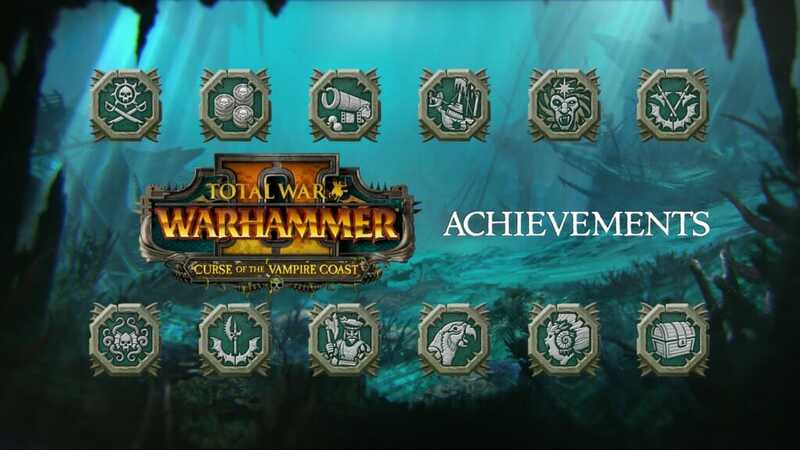 Check out the Steam achievements for Curse of the Vampire Coast.